Cryptocurrencies are dominating markets the world over. No matter what the service you are interested in, you will find it can be purchased via cryptocurrencies or the Bitcoin in particular. 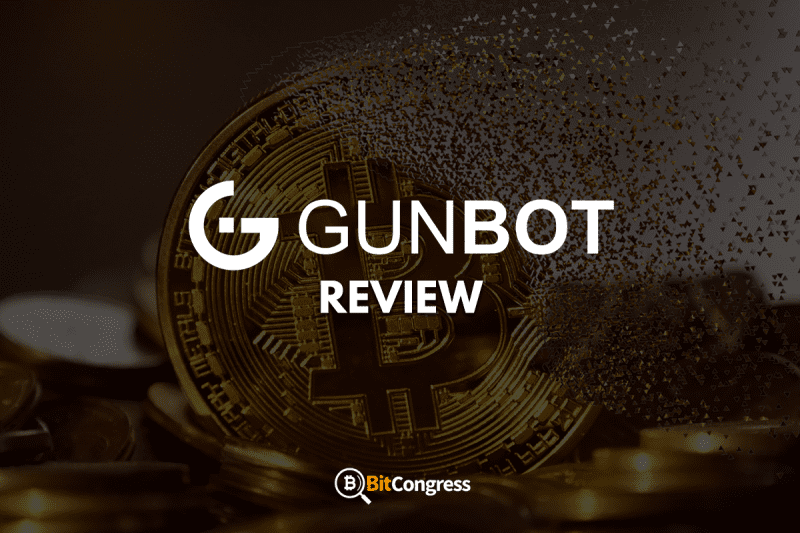 While they have managed to maintain a steady following the world over, there are still a few inconsistencies that need to be wiped out, and we plan to expand further on the same in this GunBot review. For example, people are still not sure which is the best way to go about acquiring cryptocurrencies for themselves. While this may not seem like such a big problem, it does become a problem when you consider the fact that different sources come with different associated costs of their own. To make things more clear, there is the obvious fact that if you choose to buy your cryptocurrencies from an exchange service, then based on the exchange you choose, you may end up spending more than what is actually required for the purchase. Similarly, if you choose to earn cryptocurrencies by virtue of mining for them at your own pace, you may end up choosing the wrong miner and incur significant losses. Thus, it becomes imperative for you to maintain caution while buying or selling cryptocurrencies. And even if you were to successfully buy a batch of cryptocurrencies, how do you actually go about maintaining and expanding your share. Cryptocurrency enthusiasts and financial experts will easily tell you that while buying the cryptocurrency is just the preliminary step, the real challenge begins when you wish to expand your resources. That, in effect, can only be achieved through cryptocurrency trading. And unless and until you do have significant knowledge on the crypto market, you could stand to lose a significant amount of resources if you are not careful. In such a scenario, it becomes quite apparent that you actually need someone or a service that can effectively guide you when it comes to online trading for cryptocurrencies. The cryptocurrency market happens to be a highly volatile arena, with frequent fluctuations some of which are quite severe in nature. A novice trader who happens to not have been highly familiarized with the scenario could potentially fall for any of these fluctuations and end up losing a good portion of their resources. To save yourself from such a fate, there are some pretty great services out there which can effectively lessen your burden by a lot. These services work exclusively towards helping you reach your full potential by completely managing the trading aspect of your operations. One of such services goes by the name GunBot, which is simply an intelligent bot program that has been exclusively programmed to manage your trades and handle all the buying and selling. It has, in fact, been called one of the best bitcoin trading bots! 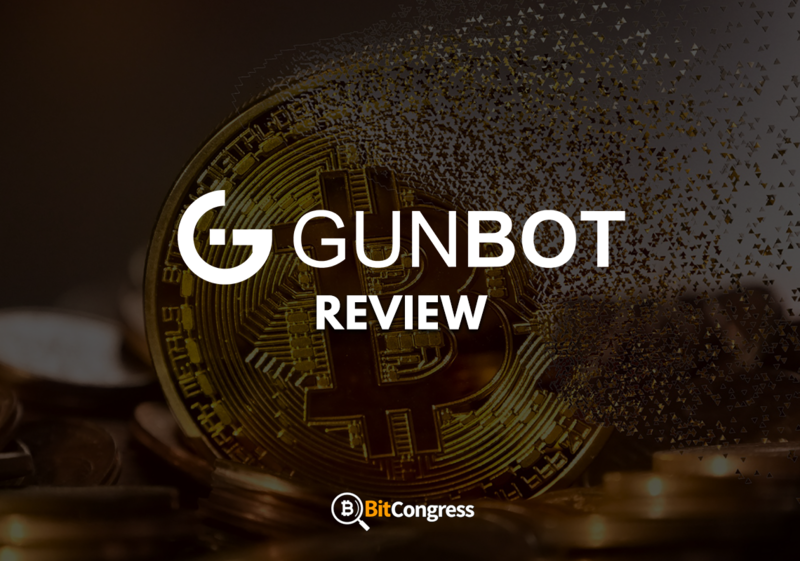 In this Gunbot review, we aim to decode the operations and working of the GunBot and make sure that we familiarize the reader with what it stands and how it could prove to be a game changer for your cryptocurrency ventures. We first go into the details of what it really is and how it works. Furthermore, we list the pricing plans for the software along with a steady comparison between the pros and cons of the service. Since there is so much to cover, let us dive right in. GunBot is an automatic and perfected crypto trading software and a computer algorithm that is designed to aid you in your cryptocurrency trading ventures. The bot works on the Poloniex trading exchange and other similarly popular cryptocurrency exchanges. Created by the developer Gunthar De Niro, and the first version of the program was launched way back in December 2016. The primary objectives of the bot include buying and selling cryptocurrencies for you on the designated platform and exchange services. The way it works is by making intelligent decisions for you and always buying when the prices are low and selling when the prices are back up again. This way, the bot continuously rakes up profits for your account and engages in competitive trading without having to do any of the work. Now while some of our readers may argue over the fact that a similar approach towards trading may be employed even as far as manual trading is concerned. Now while that may be partially true and may even work for a while, utilizing a bot has some pretty clear advantages that you won’t easily find in manual trading. Chief of these is the fact that GunBot doesn’t really rest and continues raking in profits 24/7, something that isn’t possible for a human being. The complete list of exchange services that GunBot is familiar with and works smoothly in collaboration with goes something like this: Poloniex, Binance, Bittrex, Binfinex, Kraken, and Cryptopia. However, you must note that Cryptopia is only supported for versions 4.0 or above of the software. 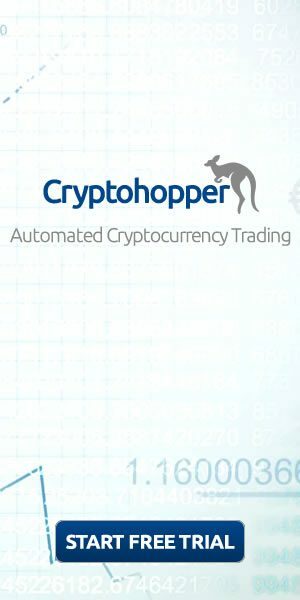 Now another aspect of the bot that is all set to simplify your cryptocurrency trading venture, one that isn’t explicitly required to be known to the user and yet must be informed to you nonetheless, is the fact that the bot works on certain tried and tested trading strategies. These strategies have been hand-picked by the makers and although you may choose to read up on these if you wish to, it is best that you leave them be to the bot itself. Now please note all of these strategies have been specifically chosen such that you happen to gain the maximum returns on your investments. These optimize your trading algorithm to the point that you stand you lose minimum and gain maximum whatever the case may be. the names of a few of these strategies, which are effectively built into the algorithm of the bot itself, are Gain, Bollinger Bands, Step Gain, 1000Trades, Ping Pong and Supergun. Now while all of these strategies work with the same objective and more or less bring about the same results, but if you were to go by the words of the creator himself, Gunthar De Niro, the Bollinger Bands, or BB strategy is the most optimum of the lot. Another point worth noting that you do not have to exclusively follow a single strategy while carrying out your trading. Rather, you even have the freedom to mix and match as per your convenience, especially when you are working on the Poloniex, Kraken or Bittrex exchanges. You can, for example, buy your currencies using the PingPong strategy and later sell them with Gain whenever the time is right. Sign up to Gunbot here! The pricing plans of GunBot have been carefully crafted to ensure that the user gets the maximum value for their money and stands to gain significant returns from their investments. The pricing plans are three in number and all three of them share similar characteristics. Namely, all of these payments will be one time in nature, that is, once you have paid the agreed amount, you effectively get a lifetime subscription of the GunBot, and are free to use it any way you please. Secondly, all three of these payment plans give the user the flexibility to run unlimited pairs. Now while these were the similarities in the plans, there are bound to be differences too. The only difference among these three, apart from the actual costs, of course, is the fact that they offer the customer the freedom to operate over either one, two or three different markets or exchange services. While the lowest priced payment plan, priced at 0.1 BTC, lets the user operate their bot in only one market or exchange service, the ones priced at 0.2 and 0.3 BTC let the user operate their bot in any two or three markets respectively. Now it is completely up to the user to decide what plan suits them best and effectively choose one which matches perfectly with their requirements. However, there is one important aspect of working with the GunBot that you must be familiar with. Imagine a scenario where each and every cryptocurrency trader orders a GunBot for themselves and has effectively let all of their trading operations rest on the GunBot’s shoulders. While this may work initially, eventually as almost all of the customers on an exchange service start operating GunBot, the situation may rapidly fall back to square one. After all, what good is a privilege when everyone has access to it? Soon enough, we will start experiencing a situation where the GunBot although work just as fine as before, have stopped being as effective simply because they are in competition with themselves. This effectively nullifies the benefits of purchasing a bot. However, you do not have to worry at all. This is because the makers of GunBot have effectively come up with a solution for this too. Gunthar soon plans to release a new and updated version of the GunBot, which will be called GunBot Black Edition. Now, GunBot will feature a new and altogether updated algorithm, one which will effectively trump the algorithm already put in place by the existing version. Thus, the traders who find that their existing GunBot isn’t proving to be as effective as they would want it to be can always opt for the updated Black Edition and better their chances at cryptocurrency trading success. It is also interesting to note that this soon to be released Black Edition of the GunBot can only be acquired by those users who already have the existing version in possession. This GunBot Review cannot be complete without listing some of the major pros and cons of the service. Now while a GunBot software is an automated algorithm that is supposed to do all the work for you and ensure that you do not face any losses when it comes to cryptocurrency trading, there is, however, one issue associated that you must know about. Although it is true that this bot is supposed to take care of all your responsibilities as a trader, it would still be better and safer for you to constantly keep a check on its activities and make sure that it is performing as per the required expectations. Basically, periodic assessments and appraisals are completely necessary and essential. And for this very purpose, it is also important that the user operating the GunBot must have some background knowledge and experience in cryptocurrency trading. If not, you are putting yourself at the risk of losing your cryptocurrencies and also not knowing what to do about it. Also, the bot comes with some pretty extensive software as well as hardware requirements. So before you go about buying one for yourself, it might be best to check out these requirements and ensure that your system fulfills all of them. First and foremost, you need to actually download the software from their website, after which you will be required to run it or your personal computer. If you do not wish to do that, you will also be prompted with the option of purchasing a separate virtual private server either form one of their recommended suppliers or simply one that you place your trust on. The software that you download from the website will easily and efficiently run on all kinds of operating systems, namely, Mac, Linux or Windows, provided that you download the correct version of it. Other hardware requirements include a 4 core minimum and 4 gigabytes of RAM, to smoothly run the program. If your system doesn’t agree with the above specifications, you might encounter appreciable lags while running the bot and face difficulty in operations. Furthermore, even though GunBot does most of the work itself, once you have installed the software and are ready to deploy it on an exchange platform, you need to configure it yourself before you launch it. And by configuring we mean deciding on which strategies to use and which algorithms to effectively operate the bot on. This is why a little bit of background information on these various strategies and a little bit of background knowledge is must if you are planning to purchase the GunBot for yourself. The GunBot is one fine technology that is sure to make your trading ventures a lot easier by its unique implementation and amazingly well-programmed software. However, it will work best only if you give it the required environment and basic initial conditions to actually make a positive change, and that won’t happen unless you learn how to make intelligent decisions that are in your best interest.